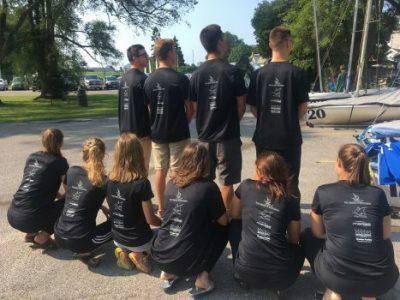 Media5 is proud to have sponsored cadets for the 2017 National Marine Regatta, in Kingston/ON, Canada. For the last two decades, Media5 has been endorsing several social, economic, and educational projects to promote national and global development and leadership. This summer, 50 of the best sailors across the country have qualified for the national regatta to compete in the national championship. “We teach leadership, citizenship, and physical fitness. Those are the three general goals of the cadet movement”, states the regatta chairman Dwight Koshman. Cadet movement values are in sync with the Media5 values of teamwork and collaboration. “Throughout this and other initiatives, Media5 is directly contributing to social development, economic growth, and innovative technologies, allowing young professionals to pursue their dreams and for the society to benefit from great ideas”, comments Eric Tremblay, general director at Media5. The National Regatta is held each summer in Kingston, Ontario. Races took place over four days during August in Lake Ontario. The top 50 sea cadet sailors from across the country competed in the National Regatta. 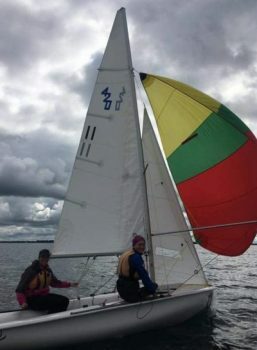 Each team consisted of a skipper and crew who competed in local and provincial/multi-provincial regattas to win a berth in the National Regatta. Ten coaches accompanied the sea cadets, along with over 50 support staff and volunteers who worked throughout the weeklong competition. The National Regatta is an exciting opportunity for the best sea cadet sailor to test their skills. The challenge of the National Regatta not only provides the opportunity to compete, but also participate in a rewarding sailing experience.